The EL1018 digital input terminal acquires the binary control signals from the process level and transmits them, in an electrically isolated form, to the higher-level automation unit. Digital input terminals from the EL101x series have a 10 µs input filter. 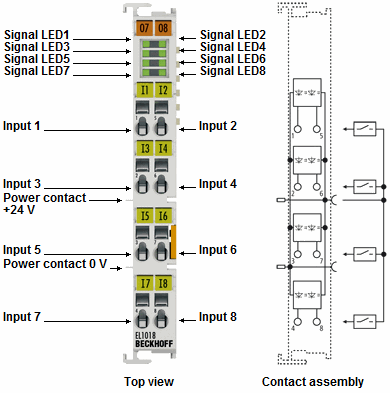 The EtherCAT Terminals indicate their state via an LED.